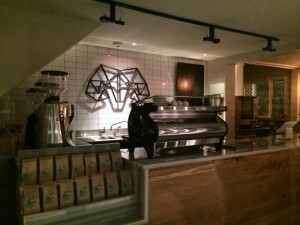 Provincetown’s latest coffee bar is tucked right off Commercial Street, so it is easy to miss! Due to the small space, there is no seating, however, the selection organic, fair trade, and single origin coffee and tea makes it well worth the visit. They even serve Blue Bottle Coffee straight from San Francisco, CA. From 8 o’clock in the morning, a crazy number of people arrive to have a coffee on the terrace and use the complimentary Wi-Fi. 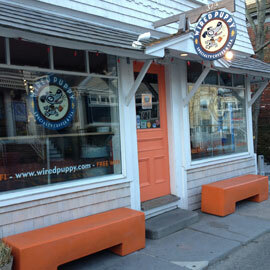 Plenty of shaded outdoor seating for people watching, a Provincetown pastime! 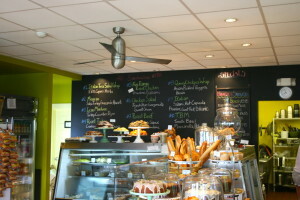 Excellent sandwiches, scrumptious American pastries. The only East End coffee joint is known for its specialty brews such as “Sweet Puppy Love”, a town-wide favorite. Dogs even get their own biscuits! There is complimentary Wi-fi and even a computer for those who don’t want to lug around their laptops. Get here early, however, as seating fills up quickly, especially on cool, cloudy summer days!